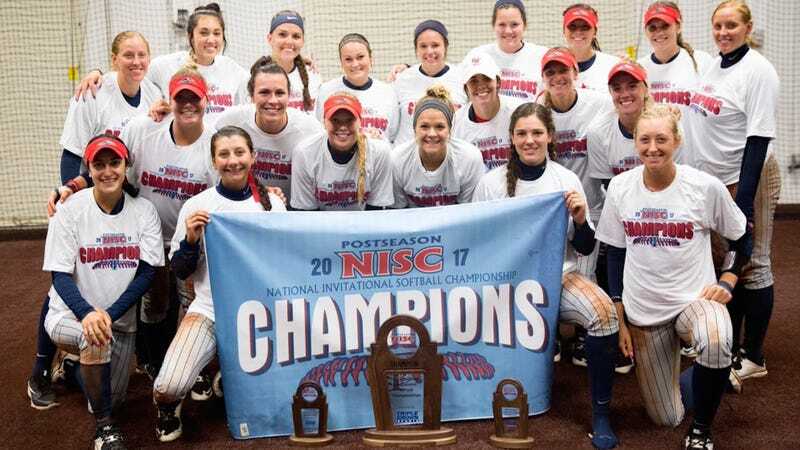 Lamar University’s softball team saw their season come to a frustrating and confusing end today, when a hastily declared rainout wiped out their last four runs and lost them the National Invitational Softball Championship to the Liberty University Flames. Lamar scored four runs in the top of the sixth inning to take a 5-3 lead on Liberty’s home turf. In the bottom of the sixth, with two on and two out, the game was delayed because of rain—and just 19 minutes later, officials made the decision to call it. (College softball has seven innings of regulation play.) As Lamar’s athletic department notes, that stands in stark contrast to weather decisions made earlier in the tournament, including the day before, when they waited four and a half hours to play in one game and allowed a one-hour delay in another. But calling the game with one out to go in the sixth didn’t mean that Lamar took their 5-3 victory to win the championship. Instead, it meant that their work in the top of the sixth would be erased since the inning was never finished. After waiting less than 20 minutes for the rain to stop, Lamar learned that the four runs they had just scored were null and void and Liberty would be crowned the winners of the NISC.